Dashed over to the grocery on Sunday to pick up ingredients for the next two new recipes I'm making. One, involving hamburger, I'm having second thoughts on, but I must persevere. The other is cookies so those I'm not worried about. 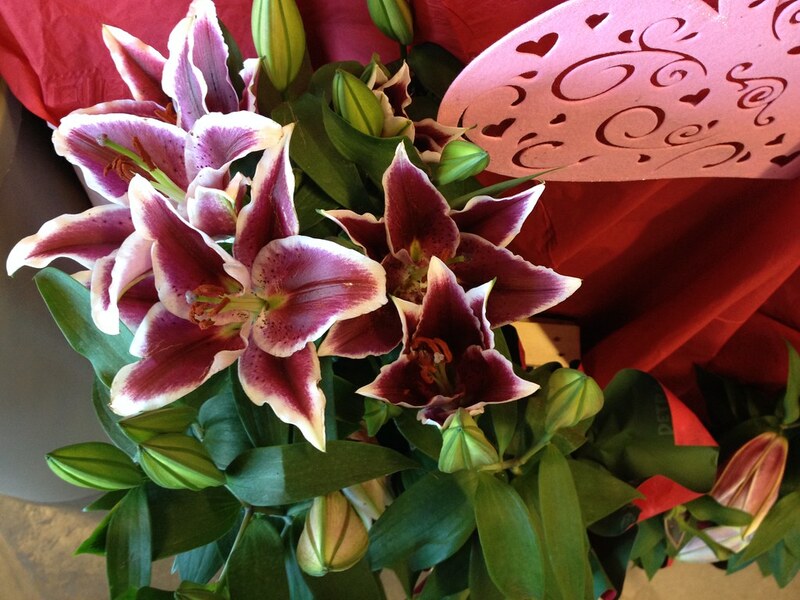 As I was leaving, my eye caught these lilies by the exit. They were called "Love in Bloom". I like the dramatic deep burgundy contrasted with the white. 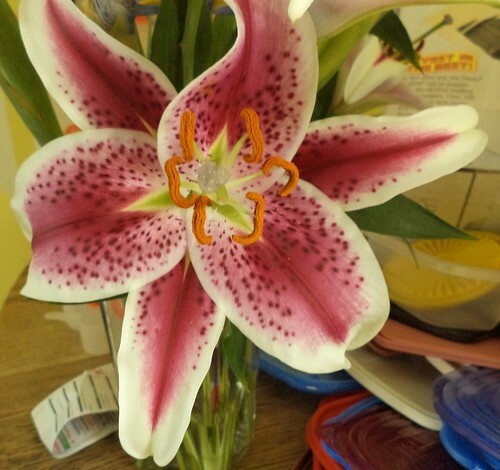 My favorite lilies are "Stargazers", which are very similar to these. They aren't as deep burgundy and have more "freckles". It would be outstanding to have a bed of lilies with all white in the center and then these two around the outside. Not on the list of garden things this year.